Providing the Orlando area with professional, fast and eco-friendly junk removal services. An attractive feature to many four-star hotels is a spa. What’s great about these spas is that you don’t have to be a guest to benefit from all the therapeutic treatments. There is nothing stopping you from booking a spa day at your hotel of choice. This is a great thing for the first day or last day of your Orlando staycation. It might also be something you come back to at least once a month! Orlando attracts a lot of visitors from around the world. There many restaurants that caters to these foreign cuisines. How many of these have you experience? A staycation is a time to expand your culinary tastes. Perhaps you can experience a different “world” every night. You might discover some new favorite food. Geographically, Orlando is considered to be in central Florida but there are plenty of bodies of water in the area that you can explore. Find a lake trail and take your bike out with a picnic lunch. 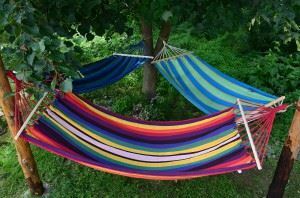 If you’ve got some books on your Kindle, then you can definitely find a nice shady tree for the afternoon of relaxing and reading. When was the last time you went to the movies during the day? It’s an entirely different experience than going on a busy weekend. Your staycation is a perfect opportunity to catch up on all the blockbuster hits you haven’t seen yet. Nothing wrong with taking in a double feature! To really enjoy your staycation you’ll want to make sure that your home is clean. After all, you don’t want to spend your day off vacuuming and dusting. You also don’t want to get caught up in all those chores you’ve been putting off because you don’t have time. This is where a call to Junk King Orlando can be a big help. These are the junk removal professionals who can help you clear out your closet, garage and other storage areas in no time at all. You don’t have to move anything with Junk King Orlando on the job. Their crews will lift and load all the things you want to get rid of. Get your staycation off to a awesome start with a junk clearing session from Junk King Orlando. This entry was posted in Orlando Junk Removal on June 30, 2017 by Junk King. Last updated July 1, 2017 .